Serious thought needs to be given to the type of design being introduced for a project. We seem to be in the design phase of alternative materials blending in with traditional products, sometimes stretching the laws of feasibility and practicality. As you travel through Hampshire and the surrounding counties, you see the odd thatched cottage hosting a glass box or zinc roofed & cedar cladded extension. Personally I am all for this diversity in design, after all this is the nature of being a building designer! However, there are reasons for these alternative designs offering a time and a place for such diversity. Design innovation – The contemporary deign may look fantastic if positioned in a location where it can be appreciated and suited to the wider scene, but it doesn’t look that good if it is positioned in the middle of a housing estate with other properties sharing similarities or a consistent design and yours is the odd one out. We have all seen the family at the airport returning from Spain with the sombrero and donkey under then arm…. it looked good and in place whilst out there! 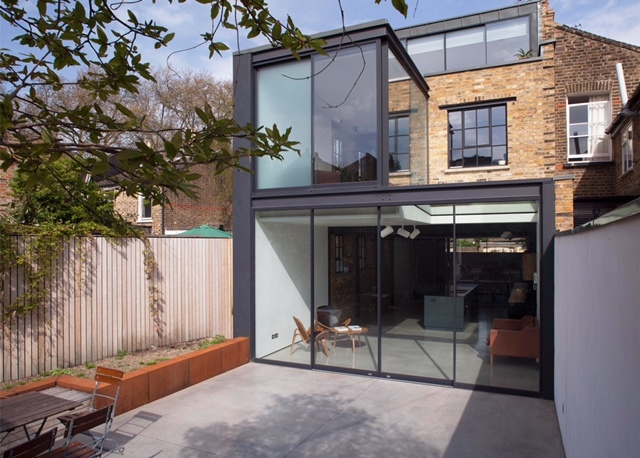 Cost – Whether it is a glass box or a zinc roofed & cedar cladded extension, the material costs generally add up to being considerably more than the conventional build option. This also lends itself to a higher build cost, the contractors required will also need to be specialists on these products which generates a higher labour rate. There will also be the associated costs within the design stage such as specialists reports along with structural justification. The local planning authorities are generally good at deciding if the proposals are suited for the area, such as Conservation designs to appease Listed Buildings, Heritage sites and general development in the countryside but the small loophole in the current planning department is possibly Permitted Development rights. If your property falls within the criteria of PD, then you could get away with such contemporary builds without any control implementation, which is good in one sense but perhaps not so good if the design is to be of contemporary nature and it is completely inappropriately positioned!